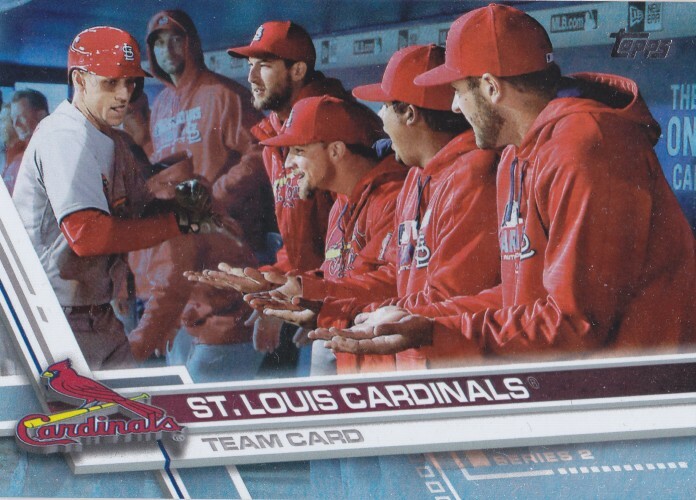 Cards on Cards: Is it Baseball Season Yet? Cardinals cards from @SportCardCollec are getting me through the long winter. The next Hall of Fame class is about to be announced. There are flower stems starting to pop up from the ground at home. And the days are... slowly... getting longer. However, with Spring Training still more than a month away, and Opening Day even further down the road, it's hard to see the light at the end of the tunnel. Fortunately, I still have quite a backlog of card packages to go through, with another great bunch coming to me from New York (football) Giants fan Sport Card Collectors. 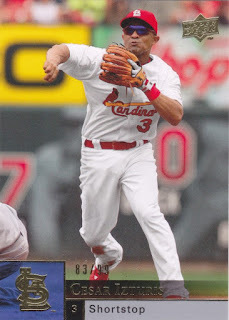 Shiny parallels were heavily featured, including this numbered to 99 version of Cesar Izturis's 2009 Upper Deck card. Izturis had a not extremely memorable single season with the Cardinals. I was surprised, though, to see that Izturis stole 24 bags in his lone year in St. Louis, which was 9 more than anyone stole for the team in 2018. 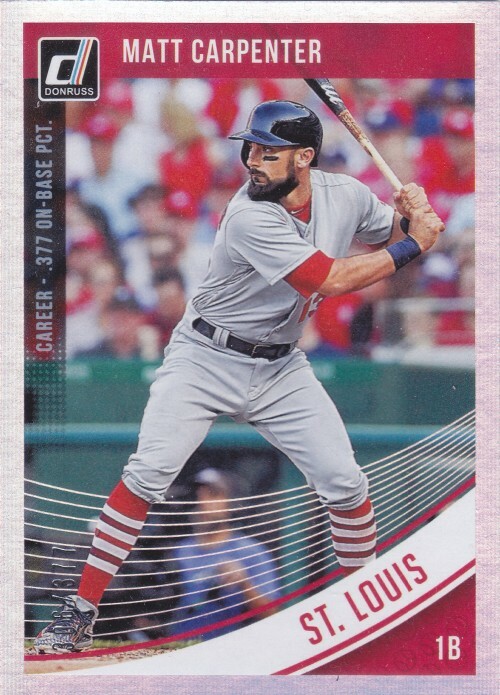 This one commemorates Matt Carpenter's career OBP of .377, which has remained steady a year after this card came out. 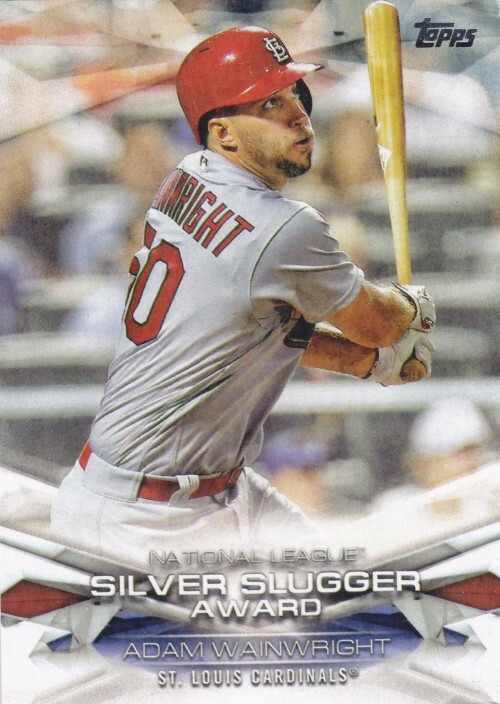 One cool thing about this Chrome'd up parallel of Adam Wainwright is that you can actually see the serial numbers from the back of the card shining through on the scan. 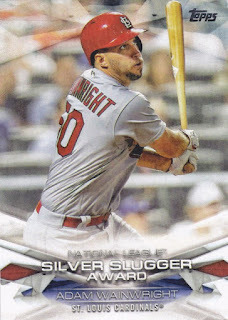 An older Wainwright won a Silver Slugger award in 2017. 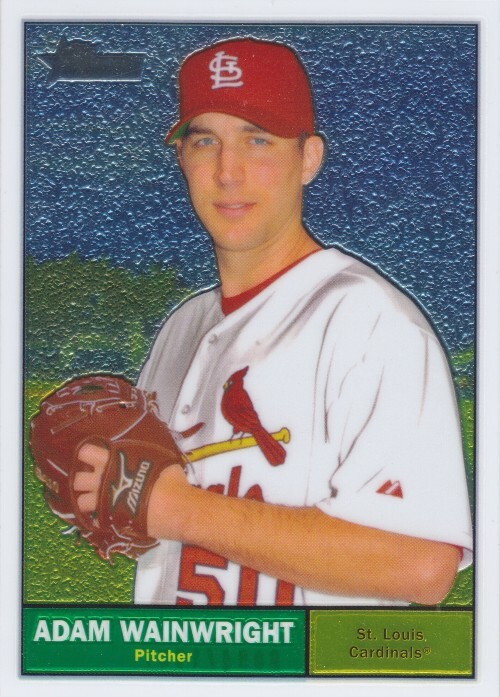 Again, that still doesn't explain why he had a bat piece on a card about his pitching prowess. 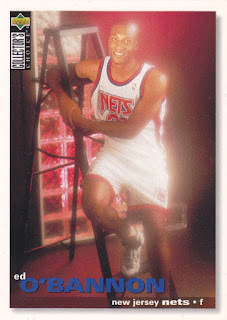 If there's a memorabilia version of this card, it would make a bit more sense. Finally, it's Shiny Yadi! 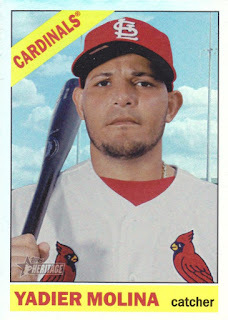 Just like regular Yadi, only a lot more serious. This is one of those retail only rainbow foil (not Chrome) parallel-ish cards from the 2015 Topps Heritage set, which was fortunately just a one year experiment. And speaking of Serious Yadi, something something Cubs... ahh, who cares?! Let's play baseball already! Less than a month away until player report! Yippee! You could have used Wano's bat in the lineup a few times when the Card's offense struggled. I like Wano and Yadi. Too great guys and players. For me, winter begins with the end of the final WS game. I'm ready for baseball!!! !